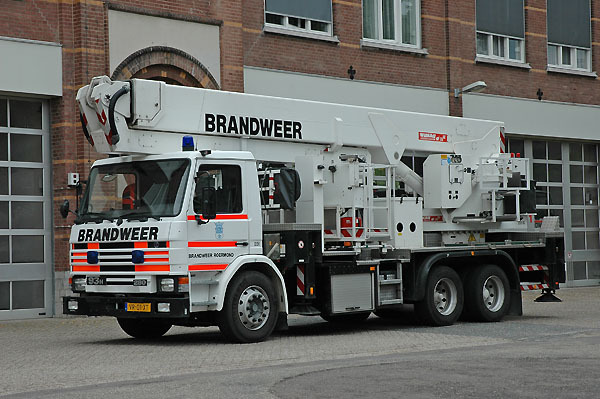 Scania's are more common inside the Dutch Fire Brigades. This one is an older one (1992). It's a Scania P93HL6X2Z, with a Wumag STF2800 boom.